The promotional company was originally known as Acquinity Sports and was based out of Deerfield Beach, Fla. before becoming Iron Mike Productions. According to ESPN’s Dan Rafael, Tyson and the chief executive of Acquinity Sports, Garry Jonas, had been working on a deal the past five months before reaching an agreement. Watch video where Mike Tyson speaks about his role as a promoter. Mike Tyson to this day still holds the record as the youngest boxer at 20 years old to win the WBC, WBA and IBF heavyweight titles. 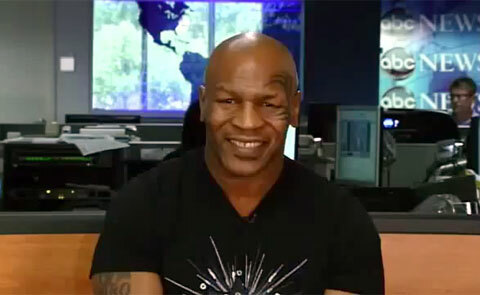 Tyson is also the star of a one-man, 36-city road show called “Mike Tyson: Undisputed Truth, which details his rise from the streets of Brooklyn to champion boxer. If you would like to book sports speakers or athletes like Mike Tyson for a speaking engagement, autograph signing, guest appearance, product endorsement or corporate event, you can request Mike Tyson speaker fees & booking agent info or call 800.966.1380.